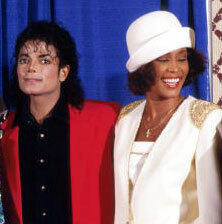 Three Whitney Houston albums crowd the top 10 on The Billboard 200. Houston is one of just six artists to have three or more of the 10 best-selling albums in the U.S. since August 1963, when Billboard merged separate mono and stereo charts into one comprehensive listing. (Coincidentally, that was also the month that Houston was born.) The five other artists to achieve this feat are Peter, Paul & Mary, The Beatles, Herb Alpert & the Tijuana Brass, Simon & Garfunkel and Michael Jackson. This makes Houston the first woman to achieve the feat, and the second (solo) star to achieve it posthumously. As happened after Jackson's death three years ago, fans are looking for a keepsake of a star they loved (or once loved). A CD is ideal for this purpose. The charts document that Houston fans have shifted from downloading individual songs to picking up full-length albums. Just two Houston songs are listed on the 200-deep Hot Digital Songs chart this week, down from 24 two weeks ago. But eight Houston albums are listed in the top 50. The Greatest Hits holds at #2 for the third week. The Bodyguard soundtrack moves up from #6 to #5. Houston's first album, 1985's Whitney Houston, dips from #9 to #10. The Greatest Hits is #1 on Top Catalog Albums for the fourth week. 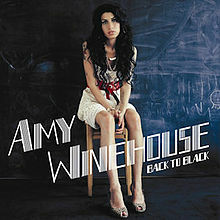 This matches Amy Winehouse's Back To Black, which was #1 on the catalog chart for four weeks after her death last summer. But Houston still has a ways to go to catch Jackson, whose Number Ones was #1 on the catalog chart for 28 weeks following his death in June 2009. Houston has four other albums in the top 50. 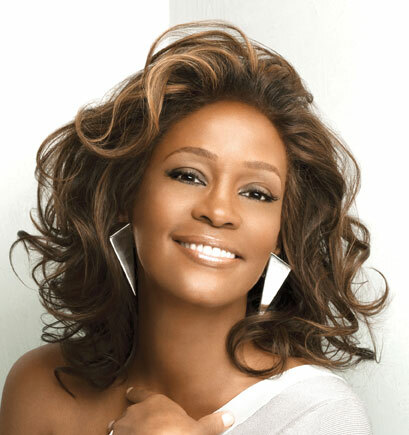 Her final album, 2009's I Look To You, jumps from #16 to #13, Triple Feature, a value-priced set which includes My Love Is Your Love, I'm Your Baby Tonight and Just Whitney, vaults from #73 to #21. And those individual albums rank #31, #32 and #50, respectively. Adele's 21 is #1 for the 23rd week. That's the longest run at #1 by any album since Prince & the Revolution's Purple Rain soundtrack had 24 weeks on top in 1984-1985. 21 is #1 for the 10th consecutive week. That's the longest continuous run at #1 since the Titanic soundtrack had 16 straight weeks at #1 in 1998. This is the longest run at #1 for an album by a female solo artist since the chart became a weekly feature in 1956. It's the longest continuous run at #1 by a female solo artist since Houston's The Bodyguard soundtrack was #1 for 13 straight weeks from December 1992 to March 1993. 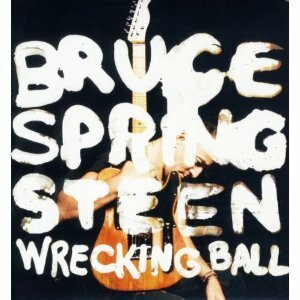 Adele is in a tight race for #1 next week with Bruce Springsteen's Wrecking Ball. It would be Springsteen's 10th #1 album. Adele's previous album, 19, holds at #7 in its 124th week on the chart. The album tops the 2 million mark in U.S. sales this week. It sold just 930K copies prior to the release of 21. 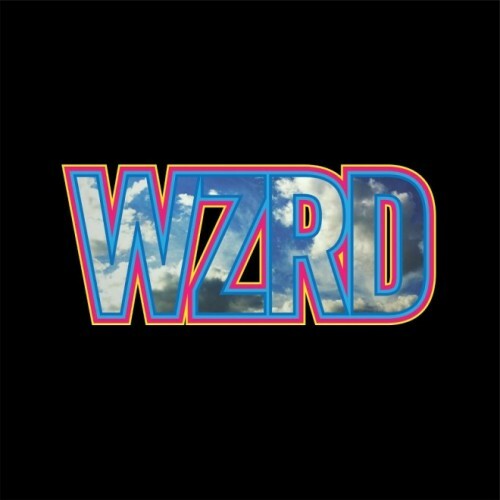 Wzrd's Wzrd debuts at #3. It's the third top five album for Kid Cudi, who previously scored on his own with Man On The Moon: The End Of Day and Man On The Moon II: The Legend Of Mr. Rager. 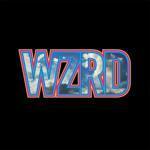 WZRD is an alternative hip-hop/rock duo which also includes producer Dot da Genius. fun. 's "We Are Young" (featuring Janelle Monae) is #1 on Hot Digital Songs for the third time in the past four weeks. Will the pop smash also jump to #1 on the Hot 100? And what will happen to "Live My Life" by Far*East Movement featuring Justin Bieber, which enters Hot Digital Songs at #8? You'll find out later today when we post Chart Watch: Songs. Here's the low-down on this week's top 10 albums. 1. Adele, 21, 247,000. The album logs its 23rd week at #1. This is its 54rd week in the top 10. The album sold 53K digital copies this week, which puts it at #1 on Top Digital Albums for the 16th week. Five songs from the album are listed on Hot Digital Songs, topped by "Set Fire To The Rain," which dips from #5 to #6. 2. Whitney Houston, The Greatest Hits, 112,000. The album holds at #2 for the third week in its 33rd week. This is the album's sixth week in the top 10. Two Houston songs are listed on Hot Digital Songs. "I Will Always Love You" drops from #13 to #53. "I Wanna Dance With Somebody (Who Loves Me)" drops from #81 to #145. 3. Wzrd, Wzrd, 66,000. This new entry is the duo's debut album; the third top five album for member Kid Cudi. 4. Various Artists, Now 41, 46,000. The album rebounds from #5 to #4 in its fourth week. It has been in the top 10 the entire time. The album has sold 335K copies. 5. Whitney Houston, The Bodyguard soundtrack, 43,000. The former #1 album rebounds from #6 to #5 in its 145th week. This is its 42nd week in the top 10. It's #1 on Top Soundtracks for the 46th week. "I Will Always Love You" drops from #13 to #53 on Hot Digital Songs. 6. Tyga, Careless World: Rise Of The Last King, 37,000. The album drops from #4 to #6 in its second week. Four songs from the album are listed on Hot Digital Songs, topped by "Rack City," which rebounds from #16 to #14. 7. Adele, 19, 37,000. The album holds at #7 in its 124th week. This is its fifth week in the top 10. "Make You Feel My Love" rebounds from #149 to #134 on Hot Digital Songs. 8. Drake, Take Care, 29,000. The former #1 album rebounds from #13 to #8 in its 16th week. This is its 14th week in the top 10. Five songs from the album are listed on Hot Digital Songs, topped by "Take Care" (featuring Rihanna), which jumps from #21 to #18. 9. Rihanna, Talk That Talk, 25,000. The album rebounds from #14 to #9 in its 15th week. This is its ninth week in the top 10. Three songs from the album are listed on Hot Digital Songs, topped by "We Found Love" (featuring Calvin Harris), which drops from #24 to #31. 10. Whitney Houston, Whitney Houston, 25,000. The former #1 album dips from #9 to #10 in its 167th week. This is its 48th week in the top 10. Three albums drop out of the top 10 this week. fun. 's Some Nights drops from #3 to #12, Chiddy Bang's Breakfast plummets from #8 to #55, and Grammy Nominees 2012 drops from #10 to #22. Robert Glasper Experiment's Black Radio debuts at #15. The album blends elements of jazz and hip-hop. Lupe Fiasco is among the guests…Lady Antebellum's Own The Night rebounds from #19 to #16 in its 25th week. The album logs its 12th week at #1 on Top Country Albums. Pink Floyd's The Wall vaults from #190 to #17 in the wake of a deluxe reissue campaign. The double-disk album logged 15 weeks at #1 in 1980. Since 1956, only one other double-disk album has spent so much time at #1: the Saturday Night Fever soundtrack (24 weeks). 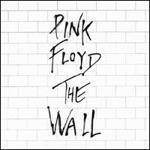 The Wall hit #1 on Top Catalog Albums on April 1994. It ranks #6 on the catalog chart this week, behind four Whitney Houston albums and one by Adele. Gotye's Making Mirrors jumps from #22 to #19 (its highest ranking to date) in its ninth week. This may be one of those relatively rare albums that builds to a top 10 ranking, rather than debuting in the top 10. "Somebody That I Used To Know" (featuring Kimbra) jumped from #27 to #16 on last week's Hot 100 and appears headed for the top 10. It has been #1 in the U.K. for three of the last four weeks. 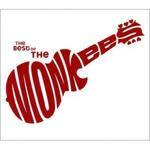 Shameless Plug: The Monkees are the only act in the history of the Billboard album chart to have four #1 albums in a calendar year. They scored in 1967 with The Monkees (which first hit #1 the previous year), More Of The Monkees, Headquarters and Pisces, Aquarius, Capricorn & Jones Ltd. Who's in second place? Glad you asked. I posted a Chart Watch Extra on Friday in which I look at everybody who had had three #1 albums in one year, from Mario Lanza in 1951 to the cast of Glee in 2010. If you missed it, here's a link. The Project X soundtrack debuts at #23. The album features Kid Cudi, D12 and Nas, among others. The movie was #2 at the box-office over the weekend…Estelle's third album, All Of Me, bows at #28. Shine, Estelle's sophomore album (and U.S. breakthrough), reached #38. Jason Mraz's EP Live Is A Four Letter Word debuts at #56. Mraz's fourth studio album, Love Is A Four Letter Word, is due in April. Mraz isn't the first artist to recognize that "live" and "love" are just a letter off. Sugarland followed its 2008 studio album Love On The Inside with the 2009 live album Live On The Inside. Both albums hit #1. Bob Marley & the Wailers' 1984 compilation Legend has topped the 500K mark in digital sales. It's the oldest album to sell 500K digital copies. The next oldest release to sell 500K digital copies: Journey's Greatest Hits, from 1988. Legend has sold 513K digital copies. Journey's compilation has sold 561K. 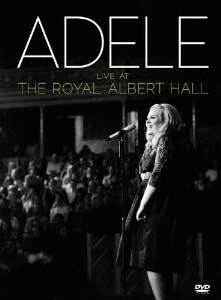 Adele's Live At The Royal Albert Hall is #1 on Top Music Videos for the 14th straight week. This is the longest run at #1 since Michael Jackson's Number Ones was #1 for 14 weeks (one week in 2004 and 13 weeks following his death in 2009). It's the longest continuous run at #1 since Collision Course by Jay-Z/Linkin Park was #1 for 17 straight weeks in 2004-2005. Adele's DVD sold 27K copies this week, bringing its total to 707K. Dr. Seuss' The Lorax was #1 at the box-office over the weekend. The soundtrack sold 2K copies, too few to make The Billboard 200. Dr. Seuss has had above-the-title billing on a string of movies, dating back to 2000's Dr. Seuss' How The Grinch Stole Christmas. His name also preceded the title on The Cat In The Hat in 2003 and Horton Hears A Who! in 2008. Coming Attractions: Bruce Springsteen's Wrecking Ball is expected to debut at #1 or #2 next week. Also due: EPs by Luke Bryan and Big Time Rush and Andrew Bird's album Break It Yourself.